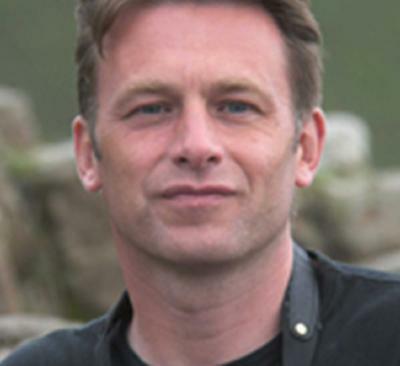 Television presenter, author and photographer Chris Packham will argue that new ideas and initiatives are needed to solve global conservation problems at a prestigious lecture hosted by the University of Southampton. Chris, who has joined BBC2’s popular live wildlife programme Springwatch, will deliver this year’s Vitacress Conservation Trust Annual Environment Lecture at 6pm on Thursday 7 May in the Nightingale Building, at the University’s Highfield campus. At an exciting and critically important time for environmental issues, Chris will look to both challenge and stimulate in his lecture, addressing current attitudes to conservation and what is influencing practice and policy. He will consider the problems of complacency, inflexibility and sentimentalism and how a new generation of ideas and initiatives are challenging such views. One of the University of Southampton's most high-profile alumni, Chris is widely acknowledged as a presenter, author and photographer with an unrivalled passion for the environment. As the guest speaker for the third Vitacress Conservation Trust Annual Environment Lecture, Chris will provide a lively and energetic presentation which will embrace even the most controversial issues. This event is hosted by the University of Southampton, highly regarded for its wide-ranging research into environmental issues. The event celebrates the partnership between the University and The Vitacress Conservation Trust (VCT). The VCT has been established to research, conserve and enhance the wildlife and habitats associated with watercress and salad crop farming, with the key objectives of communication and education. The Vitacress Conservation Trust (www.vitacress-conservation.org), whose Patron is former University of Southampton Chancellor, Lord Selborne, has been established to help research, conserve and enhance wildlife and habitats predominantly associated with watercress and other salad crops. Vitacress and the University of Southampton began working together in 1999. The partnership was established via a link with Professor Gail Taylor from the University’s School of Biological Sciences, now Chairman of The Vitacress Conservation Trust, and Dr Steve Rothwell, Production and Technical Director at Vitacress and Trustee of The Vitacress Conservation Trust.